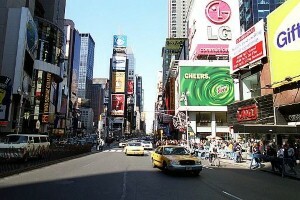 The city of New York is set to be popular with festive visitors this year, it has been noted. According to Sharron Livingston, editor at thetravelmagazine.net, in the run up to Christmas, the city will become a popular destination for festive shoppers. Ms Livingston noted that despite the unfavourable exchange rate which Brits could find on a trip to the US, the "appeal of New York often transcends any other factors". And Brits looking to head to the city to stock up on Christmas gifts could be in for a pleasant surprise, as she went on to say that New York hoteliers are "frantically reducing room rates" in a bid to attract festive visitors. The chance to save cash on the price of their accommodation could see Brits left with plenty of spare money with which to buy a travel insurance policy that covers them for the potential financial cost of replacing lost or damaged items which they buy in the Big Apple.